Powdered ingredients are a key part of the frozen confectionery manufacturing process. 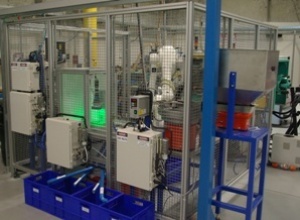 While Powder Projects commissioned a system to boost product quality during mixing, ControlVision to provided a vision system to minimise the potential for human error when adding ingredients. 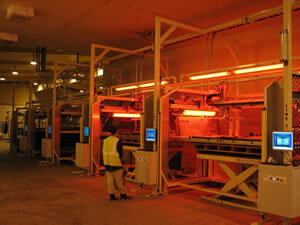 Sistema's new and innovative designs are a major part of their appeal to the market. Recently, this included a range of round soup mugs and other products with rounded sides. 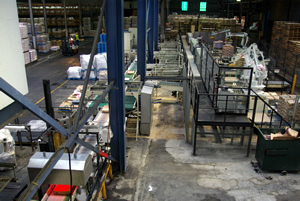 This proved to be a major challenge for their existing labelling machine, used on their traditional flat-sided products. The distinctive plastic clips on Sistema's plastic products are well-known in households in New Zealand, and increasingly around the world. 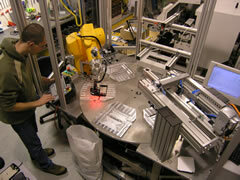 Although the clips had traditionally been attached on the base of a container, when Sistema introduced a new range which featured smaller clips attached to the lid, issues in the manual production process led to the search for an automated solution to lower costs and increase efficiency. 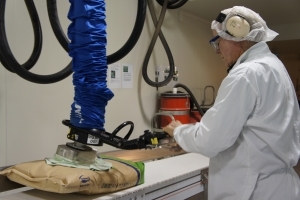 GEA Avapac, a specialist powder packing machine supplier and part of the global GEA group, was given a challenge: Fonterra, the largest dairy cooperative in NZ, wanted to jointly develop a solution to reduce or eliminate manual labour from packing rooms. 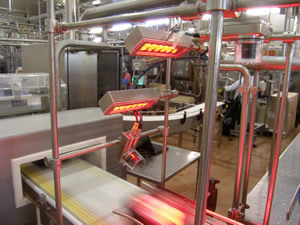 For reasons of both labour savings and food hygiene it made sense to do this – and Fonterra were ready and willing to mount a “technology stretch” project to achieve the goal of what was termed “lights-out packing”. 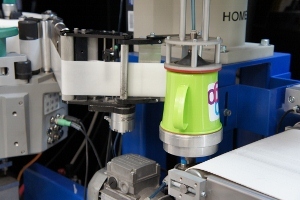 Robotics and Machine Vision has a small but important part to play in the important business of milk powder packing. More widely known for its gumboots, agricultural and industrial rubber products, Skellerup NZ recently completed a project at Gulf Rubber - a subsidiary that specializes in more esoteric and high-performance plastics. The product, which has been 3 years in development, is a precision moulded dual material plastic bush used in automotive drive train components. The manufacturing quality demands are stringent with Outer Diameter/Inner Diameter (OD/ID) and concentricity tolerances in the order of +/- 0.05mm. 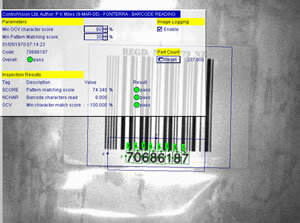 Machine vision is used to provide online inspection to ensure that these quality requirements are met. For modern food producers, ensuring that batch and date codes are printed correctly and legibly on perishable goods has become of critical importance. The consequences of getting it wrong can be serious with expensive product recalls and the potential for lost customers. Automation & Robot Technologies (A&RT) or New South Wales have developed a standard date code inspection system designed to be highly flexible, but simple for operators to use. 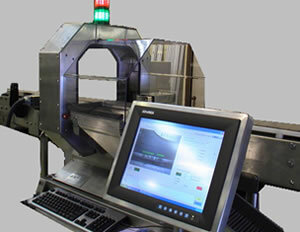 The system can be directly integrated to existing production lines with minimal effort and has the capability to inspect date codes / time stamps and other character inspections in less than 100 ms! Canterbury Breweries (CB) supply draft beer in kegs to many of the South Island's drinking establishments. 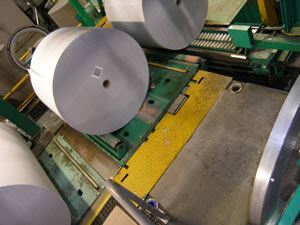 JMP Engineering installed a Kawasaki palletizing robot to â€œdepalletizeâ€™ empty kegs in the plant. 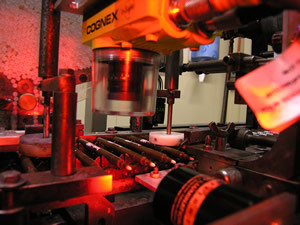 In this application a Cognex vision retrofit replaces the underperforming vision system with real tangible performance benefits. 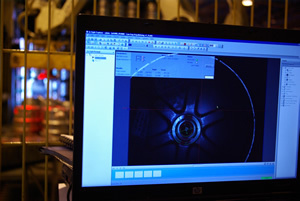 The iconic Chelsea sugar refinery in Auckland recently solved a long standing problem with their manufacturing process using Machine Vision. 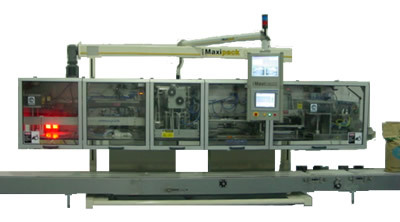 With up to 50 types of product ranging in bag material, decoration graphics, size and weight the one Achilles heal of their back-end flexible palletizing system has been reliable identification of product. 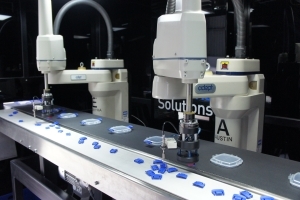 Hella asked ControlVision to implement a robot guidance and inspection solution to automate a precision gluing process in the production of custom OEM designed lighting for carmakers.